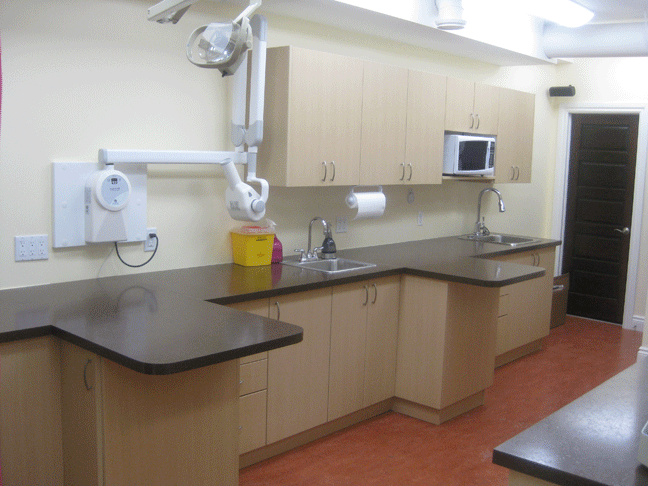 Did you know that not all all veterinary hospitals are created equal when it comes to cats? Most veterinarians treat cats like small dogs and do not appreciate the special needs of this species. 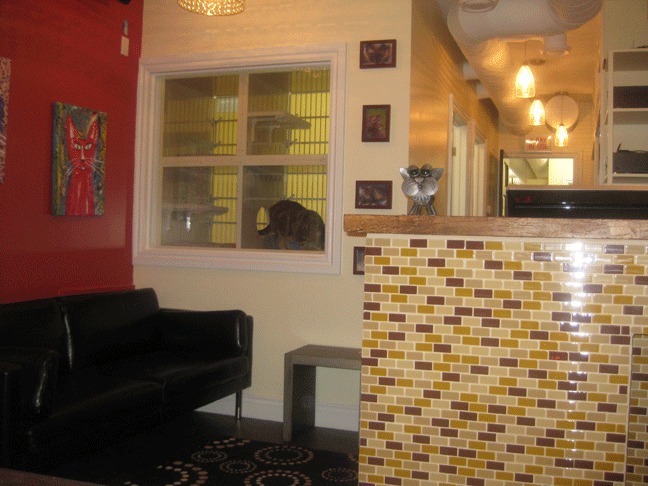 Downtown Toronto Cat Clinic is different from the moment you walk into the clinic .You may think you have walked into a friend’s cozy living room. All the details were well thought out from the specially designed reception desk to the small tables to place your cat carrier on, to the glass window where the boarding cats can see the activity in the waiting room. The walls are covered with one of a kind art work from various artist who exclusively paint cats.The serene and calming atmosphere almost makes you feel as though you are in a spa reception room. Cats are often stressed and because they are in a waiting room with barking dogs in their face and are usually hospitalized in full view of the canine predator. The cat clinic is a haven for cats, it is peaceful and is a perfect environment for the recovery of our sick cats as there is no barking or canine smells to upset them. The cat clinic offers boarding in our two level cages that are in full view of the reception area and provide two hours of exercise and play time once a day. Downtown Toronto Cat Clinic also offers a unique service where they will come pick up your cat at your home and transport your pet to the clinic for necessary procedures. The clinic will receive calls at 8:00 in the morning with owners that need to get to work but have noticed that their cat is ill and can’t make it to the vet until later that day. The Downtown Toronto Cat Clinic suggests that you should never wait to bring your sick cat for an exam, so the clinic will provide a service where they come to pick up your cat up at your home before you go to work. They will update the owner during the day and drop off your pet the next morning. The clinic also offers a house call service for their clients if needed. Dr. Bonder focuses exclusively on feline medicine and follows closely the guidelines of The American Feline Association of Practitioners. Dr. Bonder also believes in contributing to the community and will be working closely with the Annex Cat Rescue to help control the cat population in the Annex area. If your cat seems stressed at the vets’s or is acting out aggressively at your average cat-dog hospital, and especially if you’re looking for a veterinarian with cat -specific skills , you might want to give the Downtown Toronto Cat Clinic a try to see the difference in the vet experience.